In March 2017 Tim performed the Irving Berlin classic "What'll I Do" during 'An Evening Of Classic Broadway' at Rockwell Table & Stage, LA. Tim appeared in ‘An Evening Of Classic Broadway’ at Rockwell Table & Stage on 14th December 2015 where he debuted his self-penned songs "Scene Of The Crime". 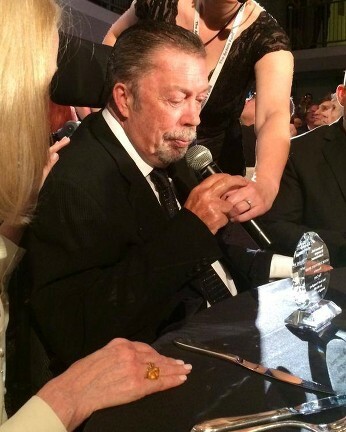 On 30th October 2015 Tim Curry & Lou Adler attended Los Angeles City Hall to celebrate the 40th Anniversary of The Rocky Horror Picture Show. 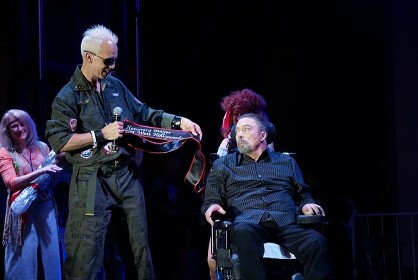 Tim accepted the title of 'Honorary Mayor' during the West Hollywood Halloween Carnival on 31st October 2015. Tim was presented with a Life Time Achievement Award at The Actor's Fund Tony Awards Viewing Party on the 7th of June 2015.